For shoppers, it should be a more convenient, faster, and less expensive option than delivery. For retailers, it’s an opportunity to drive foot traffic to the store and personally engage with customers. When executed properly, click and collect is a win-win. 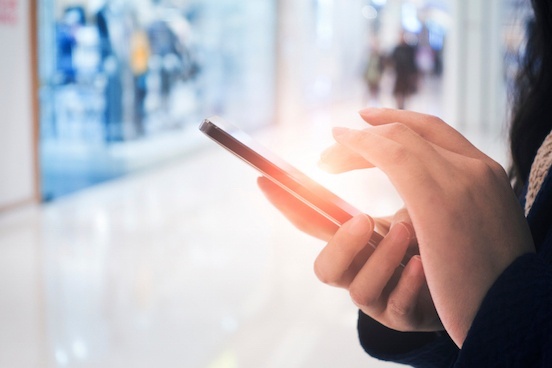 Let’s look at why Millennials, the world’s largest group of shoppers, are finding that today’s click-and-collect experiences don’t meet their expectations and how retailers can begin to create a win-win situation. Like our US shoppers, our U.K. shoppers found disparities in product availability and levels of in-store engagement. One of the most disturbing findings in the U.S. is that when an item is unavailable for store pickup, the consumer is forced to have the item shipped to their home, incurring the delivery fee, which is not even discounted. However, in the U.K. some retailers attach a 3-5 day waiting period until the ordered product could be picked up, and some attach a cost for picking up items that don’t meet basket minimums. Yikes! Egad! Really? None of these alternatives are satisfactory—offering a no-cost customer service option that falls way short of meeting expectations of convenient, speedy fulfillment without the cost of delivery. To manage these risks and realize the full potential of buy online and pickup in store, retailers must mesh the fast-growing appeal of ubiquitous e-commerce (more than 11% of all retail sales) with in-store fulfillment. And they must create a unified commerce experience that boosts e-commerce conversion and in-store foot traffic and increases additional purchases. The availability and retention of information in and across e-commerce and store channels are fundamental prerequisites for any truly seamless shopping experience. The ability to purchase and flawlessly fulfill wherever a customer wants to shop is fast becoming table stakes for omnichannel retailers. Add to this the significant impact in return merchandise costs from online orders, and click and collect (also known as BOPIS, Buy Online/Pickup In-Store) becomes a highly attractive option for fulfilling orders, bringing customers to the store and opening an opportunity for customer identification, cross-selling and upselling. On a grander scale, click and collect gives omnichannel retailers a critical leg-up in competing with Amazon's convenience and speed. However, if the retailer is unable to follow the consumer journey through all touch points, glitches in the overall experience highly impede the results from these activities. For click and collect, the critical retail linchpins to ensure noteworthy customer experiences are precise inventory management, powerful order orchestration that puts the goods where you need them in the fastest and most efficient way, and point of sale that is capable of understanding all engagement points and providing the full customer picture to associates. So let’s examine how these three areas impact the success of click and collect fulfillment, and what retailers need to do to address potential problems. Numbers 1, 3, and 4 can be corrected fairly easily with proper processes and training. After being notified that an order is ready for pickup, the last thing a shopper expects at pickup is waiting for staff to gather items from the sales floor or stock room. The first step is ensuring you have technology that can keep your store staff on point and ready for customer pickups. This means driving pick lists to floor associates, ensuring pick, prepare, or ship capabilities will ensure that certain goods are ready for the customer exactly as needed. And finally, there is the need to know the customer who is coming, their buying preferences, and their intentions before they come in the door, so your staff is ready to provide a value-added service to this additional traffic and maximize cross-sell and upsell. The second and often overlooked step is gathering feedback about the experience by capturing details via your store app or customer reviews on their experience, their feelings for your brand and more. Ensuring you are engaging customers in this digital feedback is absolutely critical to being relevant in today’s digital reality. Customers should tell you how they felt about wait time, communication, service, associate engagement, and overall satisfaction of the experience. Listen, learn, and leverage this feedback to differentiate your brand from the competition. Finally, you need to drive associate workflows and store operational processes to educate and support engagement of customers during in-store pickups. An investment in training can pay off in additional revenue from cross-sell and upsell opportunities. Staff should be empowered with digital point of sale that prepares them with detailed information on the customer’s profile and history that is then used to initiate engagement, and segue into a discussion that includes additional product suggestions. The human factor is key to mastering the art of click and collect. Our next post will examine how to manage the science (technology) of click and collect and earn customer satisfaction and loyalty. Contact us if you would like to learn how companies like Molton Brown, Wickes and Discount Tire and changing the face of retail.